The Pan African Sanctuary Alliance (PASA) held a PASA Strategic Development Conference in Nairobi 4-7th November. PASA is a coalition of wildlife sanctuaries and NGO’s working across Africa to protect primates in the wild and to ensure those orphaned primates are cared for to the highest standards. As part of the conference activities a number of the delegates from all over Africa came on a special visit to our sanctuary. The delegates included other primate sanctuary managers from chimpanzee range states and ape conservation programme managers, as well as some of the PASA Executive Board and the new Executive Director who had flown in from Oregon, USA. 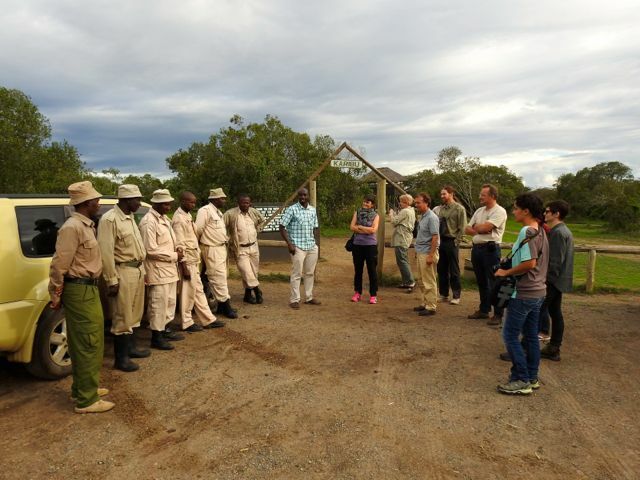 They visited the Sweetwaters Chimpanzee Sanctuary so they could see for themselves the excellent facilities we have here on Ol Pejeta Conservancy for looking after these very special primates. 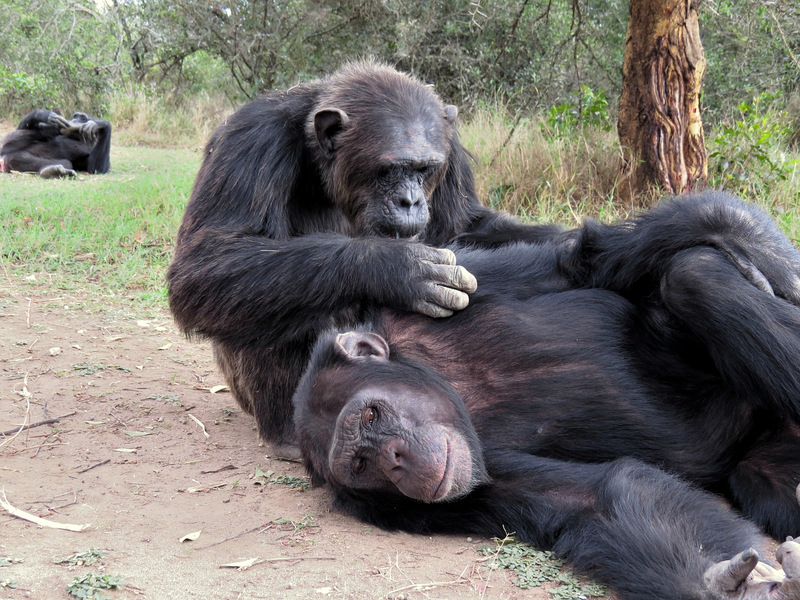 During their day they of course visited the chimps themselves and spent time seeing how much they enjoyed living in Laikipia. They also got an exclusive behind the scenes tour to see the housing facilities we have here. The most recent extension to the housing was completed in April 2013 and expanded the capacity of the sanctuary by 35 so we now have space for approximately 75 chimpanzees. Sweetwaters could expand even further in future if necessary. The PEGAS Project Manager was on hand to explain exactly how this extra capacity can help relieve some of the population pressure on other sanctuaries who are close to or full to capacity. Despite some sanctuaries being full there are still many apes out there in range states that need rescuing from the illegal bushmeat trade or the illegal international trade in live apes. They also need a home within a PASA sanctuary and the SCS with its new increased capacity is ready to fill the places with chimps in dire need of somewhere to stay. This visit has been followed up by a meeting held on Monday 9th November in Nairobi, hosted by PEGAS to further discuss ways we can all come together to find the best way we can all cooperate to do what is best for the chimps that are in such desperate need of our help.